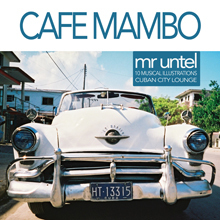 Cafe Mambo is a passionate collection of 10 joyful Afro Cuban music tracks acoustic filled with piano, marimba, pizzicato, brass and percussion. Perfectly calibrated for the musical illustration of movies, tv series and documentaries. To discover urgently. Ask now for your free promo pack.